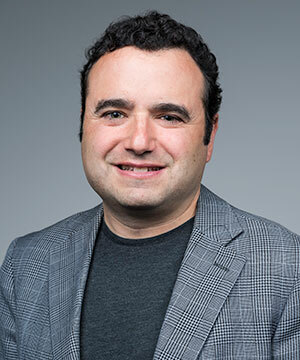 Prof. Reichman's research focuses on cultural responses to economic change, especially the anthropology of trade and globalization in Latin America. He has conducted field research in Honduras since 2001, focusing on emigration to the United States, the coffee industry, and evangelical religion. His book, The Broken Village: Coffee, Migration, and Globalization in Honduras (Cornell University Press, 2011) is an ethnography of one Honduran town's transformation from a coffee-growing economy to a migration-based economy. The book was awarded 3rd prize in the 2012 Victor Turner Prize in Ethnographic Writing, awarded annually by the society for Humanistic Anthropology. Coffee farm Garça, SP. Brazil 2013. In 2008, he conducted research on Central American workers in the Maine seafood industry. He is currently studying how traceability systems are transforming food industries, with a focus on coffee. In 2013, he began comparative research on coffee production in Brazil. As a Fulbright scholar in Brazil in 2016, he conducted an ethnographic and historical study of the city of Santos, the largest industrial port in Latin America and the historic center of the global coffee trade. He is currently writing a book called "Time in the Balance: Histories of Progress in a Brazilian Port"
In addition to his academic publications, Reichman occasionally writes in the popular media on immigration and other current events related to Latin America. He has consulted on Central American immigration for the United Nations and other institutions. 2011 The Broken Village: Coffee, Migration and Globalization in Honduras. Industrial and Labor Relations Series. Cornell University Press. 2018. Big Coffee in Brazil: Historical Origins and Implications for Anthropological Political Economy. Journal of Latin American and Caribbean Anthropology. 2016. From the Social Production of the Person to Transnational Capitalism: Parsons, Turner, and Globalization. Tipití: Journal of the Society for the Anthropology of Lowland South America: 14:2, Article 154-163. 2014. Information and Democracy in the Global Coffee Trade. In. Food Activism: Agency, Democracy, and Economy. Carole Counihan and Valeria Siniscalchi, eds. Bloomsbury. 2013. Entrepreneurship in a Pickle: Innovation and Arbitrage in the Sea Cucumber Trade. Anthropological Quarterly. 86:2. 559-588. 2011. Migration and Paraethnography in Honduras. American Ethnologist. 38:3.548-558. 2008. Justice at a Price: Regulation and Alienation in the Global Economy PoLAR: Political and Legal Anthropology Review 31:1.134-149. 2016. "Is Brazil the Albany of South America?" Op-ed. NY Daily News. April 20. “To Be a Man Here, You Have to Go to the United States.” Politico Magazine. August 18, 2014. 2013. Honduras: The Perils of Remittance Dependence and Clandestine Migration. Migration Information Source (online journal of the Migration Policy Institute). Special Issue: Regional Migration Perspectives: Trends, Patterns, and Policies in Central America, Mexico, and the U.S.
2008. Coffee as Global Metaphor. Invited Paper for The Center for Latin American and Iberian Studies, Vanderbilt University - Occasional Paper Series (No. 9) February 2008.